It's finally here! 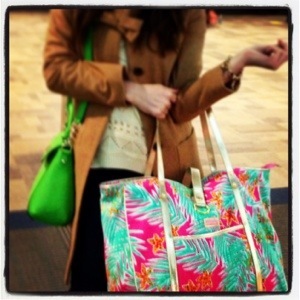 I am on my way to Palm Beach for the Red Cross Beach Bash with my brand new Lilly tote! 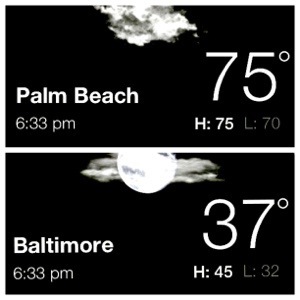 I am so excited to be on my way to 75 degree weather and far from cold Baltimore nights. I am a little sad that I will miss the snow that is supposed to come on Saturday, but a high of 86 is totally worth it. Many more details about the trip to come!